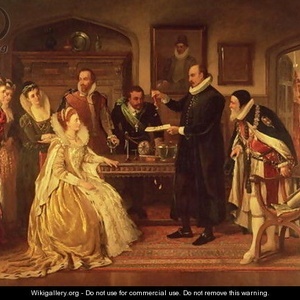 Published: May 30, 2012, 2:07 p.m., Last updated: May 30, 2012, 2:20 p.m.
Dr William Gilberd showing his experiment on electricity to Queen Elizabeth I by Arthur Ackland Hunt. Source: Wikigallery. We have previously written about HIVEX here and here. HIVEX is an unproven electromagnetic treatment that its proponents claim can treat HIV. This is despite there being no published studies of the use of HIVEX in humans. Until recently, people were charged R1,000 to undergo the HIVEX treatment. The only HIVEX facility in South Africa that we were aware of was in Durban. You may have seen footage of this facility featured in a Special Assignment (television programme) investigation of quackery in Kwazulu-Natal. There may have been only one facility, but we heard reports of people travelling from as far as the Eastern Cape for this supposed miracle cure. Then in April 2012 we received reports that the HIVEX facility in Durban would close at the end of that month. On 8 May, a Treatment Action Campaign (TAC) representative visited the facility and verified that it had indeed closed. It was a long and hard-faught victory for the rights of HIV-positive people not to be misled by quacks. As we have consistently argued on Quackdown, patients have the right to choose whatever treatments they want, but they must be informed properly. Healers do not have the right to offer any treatment they wish; only ones that are approved by the Medicines Control Council. In an ideal world, one would be able to report quackery of this nature to the Department of Health, who would investigate and shut the quacks down. However, that is not how it works in practice. There is a law enforcement unit in the Department of Health, but the unit is under-resourced. Even rulings at the Advertising Standards Authority (ASA) only deal with one aspect of the problem: adverts in the mainstream media. TAC lodged a complaint against the HIVEX website with the Advertising Standards Authority (ASA). The site was temporarily taken down and the ASA ruled that was good enough. However, the site reappeared and TAC lodged a breach complaint with the ASA. This time the ASA ruled that the HIVEX website was in breach of the previous ruling and ordered that they stop claiming that HIVEX is an effective treatment for HIV. Quackdown published two articles about HIVEX. The first explored the treatment’s fascinating links to the arms deal. On World AIDS Day 2011 the TAC picketed at the HIVEX offices and delivered a memorandum demanding that HIVEX limited must stop claiming they treat HIV. On January 26 2012 Catherine Tomlinson and I, in our capacity as TAC staff, met with Clive Harvey Fox, the driving force behind HIVEX, at the TAC national office in Cape Town. In that meeting we repeated our demand that HIVEX must not be offered as a treatment for HIV in the absence of solid published evidence and regulatory approval. Harvey Fox made it clear that they would continue to offer HIVEX as a treatment for HIV irrespective of the lack of published evidence. The TAC leadership in Kwazulu-Natal raised concerns about HIVEX with the KZN provincial Council on AIDS. Premier Mkhize, who chairs the council, acted swiftly and ordered that a task team should be established to look into the matter. Harvey Fox was called to appear at a meeting of this task team early in April, but did not show up. It is likely that pressure from this task team was the final straw for HIVEX in Durban. Even though the HIVEX facility has closed down, the company's Facebook page suggests that HIVEX will resurface elsewhere. The closure of HIVEX’s Durban facility is a notable victory that will prevent many vulnerable people from wasting money on a treatment that doesn’t work. The closure might even save a few lives. However, when it comes to quackery in South Africa, HIVEX is only the tip of a massive iceberg. Even with all the effort that went into the HIVEX case, there was no legal victory, no interdict, and no fines. In short, the quacks got off relatively unscathed. A better-resourced law enforcement unit in the Department of Health would help protect consumers against quacks. So might the National Consumer Commission. This latter option is relatively untested, but would likely face the same capacity problems as the law enforcement unit. Whereas both these avenues must be pursued, it would be naive to expect these mechanisms to suddenly be transformed into supreme quack-busting entities. Instead, we are left with what we try to do on sites like Quackdown, CAMCHECK and the TAC's community education programme, that is help educate consumers and patients about pseudoscience and quackery. Please let us know if you see HIVEX being advertised or hear of the treatment being offered again. Great news. Well done folks. It is depressing that it takes so much effort to stamp out quackery - but your persistence and vigilance has won this round. Unfortunately quackery is like the hydra - cut off one head and others sprout. I hope the message is getting round and any resurfacing will be quickly spotted and stamped out.